The big, colorful bricks of the LEGO 10847 DUPLO Number Train bring numbers and counting to life for kids aged 2 to 5. 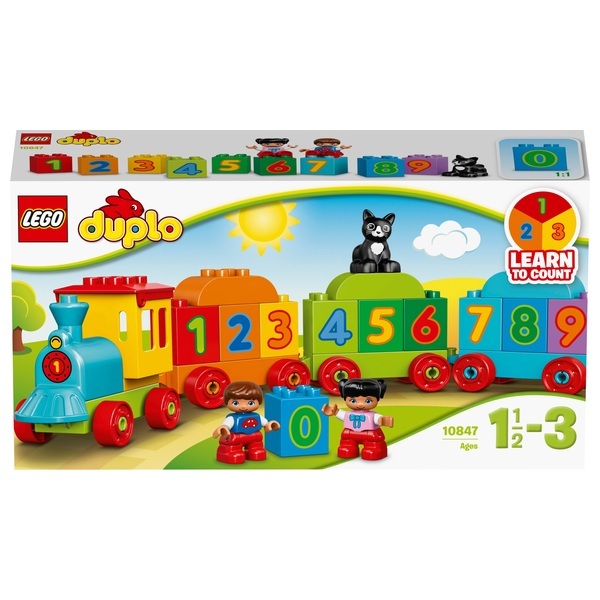 Boys and girls love to play with this educational LEGO DUPLO traintrain with its decorated bricks that help them recognise numbers and learn counting. This creative building and learning toy comes with 2 child DUPLO figures and a cat figure so they can create their own characters as they build their train and play little train drivers. It’s the pre-school children’s toy that makes learning a lot of fun. The DUPLO bricks used in this building set toddler’s toy are designed to be safe and suitable for little hands.